Love conquers all, so they say. But can Cupid's arrow pierce the hearts of the living and the dead—or rather, the undead? 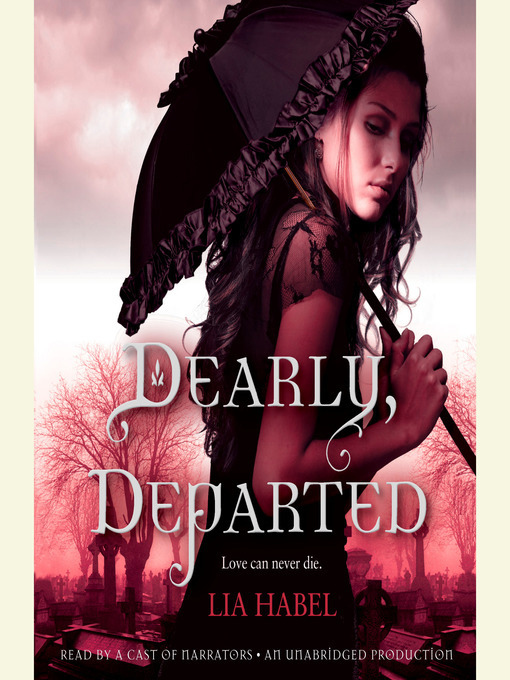 Can a proper young Victorian lady find true love in the arms of a dashing zombie? The year is 2195. The place is New Victoria—a high-tech nation modeled on the manners, mores, and fashions of an antique era. A teenager in high society, Nora Dearly is far more interested in military history and her country's political unrest than in tea parties and debutante balls. But after her beloved parents die, Nora is left at the mercy of her domineering aunt, a social-climbing spendthrift who has squandered the family fortune and now plans to marry her niece off for money. For Nora, no fate could be more horrible—until she's nearly kidnapped by an army of walking corpses. But fate is just getting started with Nora. Catapulted from her world of drawing-room civility, she's suddenly gunning down ravenous zombies alongside mysterious black-clad commandos and confronting "The Laz," a fatal virus that raises the dead—and hell along with them. Hardly ideal circumstances. Then Nora meets Bram Griswold, a young soldier who is brave, handsome, noble . . . and dead. But as is the case with the rest of his special undead unit, luck and modern science have enabled Bram to hold on to his mind, his manners, and his body parts. And when his bond of trust with Nora turns to tenderness, there's no turning back. Eventually, they know, the disease will win, separating the star-crossed lovers forever. But until then, beating or not, their hearts will have what they desire.